Hello from the 2013 Metinic Crew! There will two of us on this amazing island this year. 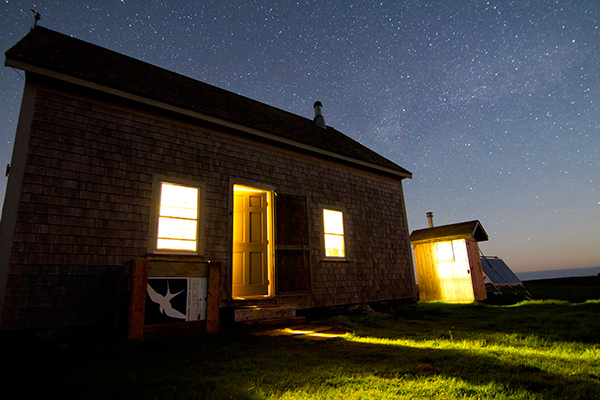 I’m Amy, and I’m returning for my second summer with Maine Coastal Island National Wildlife Refuge. If you’re a long-term reader of this blog, you might remember my entries from Ship Island last year. 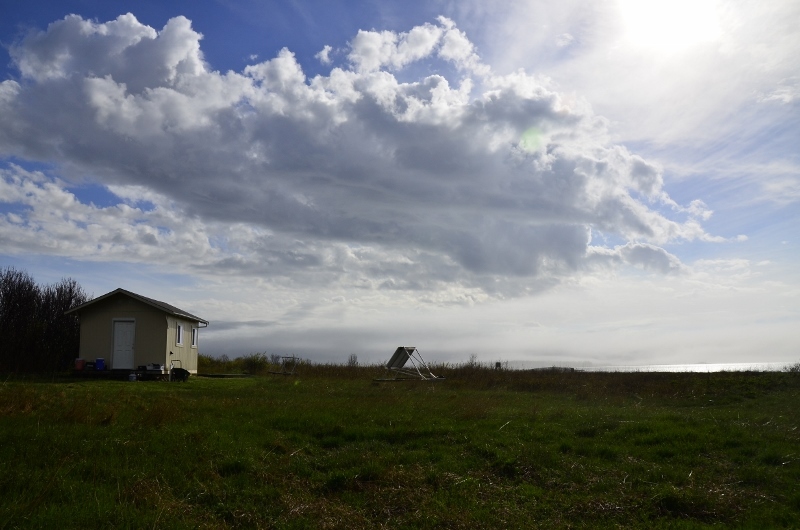 I’m a graduate of Colby College, and this is my third summer on seabird islands (2nd with the MCINWR). Joining me on Metinic Island is Zak, a student at Michigan State University. This is Zak’s first time on a seabird island, but he’s had tons of other bird-y experiences, including work in China and Costa Rica. 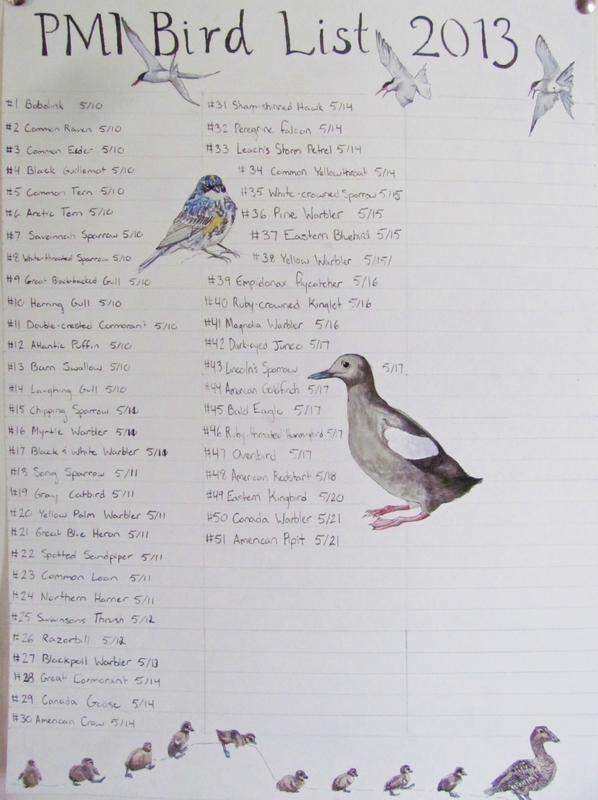 His most recent accomplishment is almost single-handedly meeting the all-time high species count for Metinic Island in under 3 weeks (more on that in future entries). Also settling in for the summer are our reasons for being here: terns, guillemots, eider, and gulls. It was a rough summer for the terns last year – bad weather and high levels of predation caused the colony to abandon the island before their eggs had hatched. Luckily, they’ve come back this year to give it another try! We’ve seen over 150 Common and Arctic Terns hanging out on the north point of Metinic. 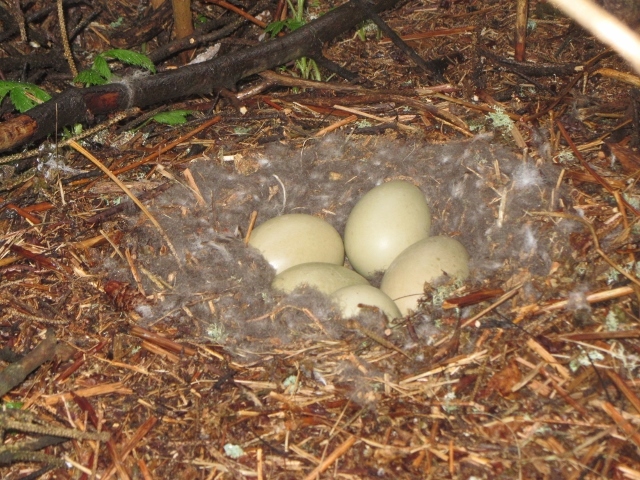 We hope to see eggs sometime in the next two weeks – keep your fingers crossed for us and the birds! In the meantime, gulls, Spotted Sandpipers, and Common Eiders are already sitting on eggs, while Black Guillemots and Leach’s Storm Petrels have been examining and excavating burrows. We’ve just recovered from a stretch of rainy and windy weather, so expect more soon! The cabin we are going to call home for the summer. Finally, after weeks of anticipation and planning, we (Julia and Katie) have arrived at the island we are going to call home for an entire summer. 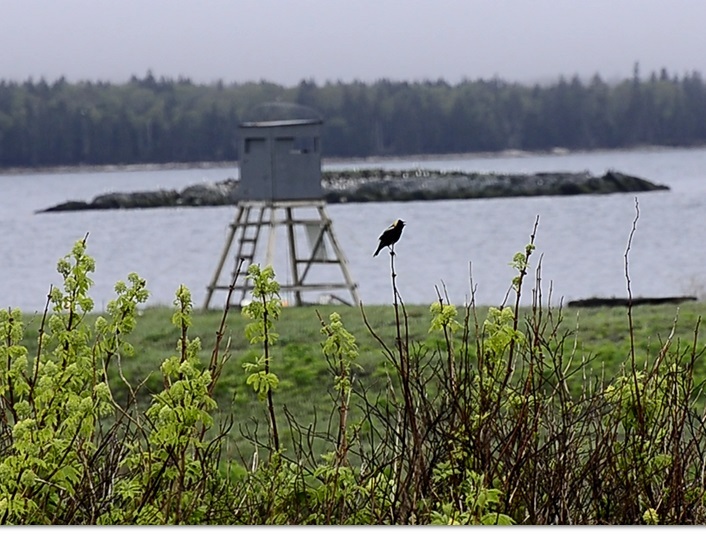 Our island is called Ship Island, and it lies in Blue Hill Bay, Maine, just a few miles off shore. At just 11 acres, the small island will be called home to not just ourselves, but to a variety of various song birds, sparrows, and seabirds. 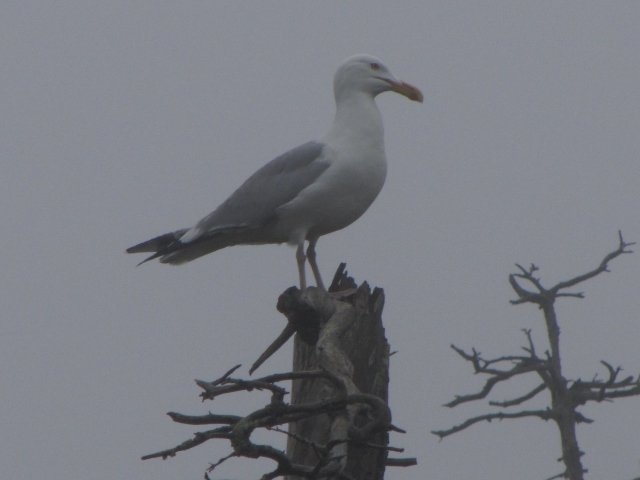 Our focus, of course, will be on the seabirds, and we are looking forward to a wonderful summer with them. 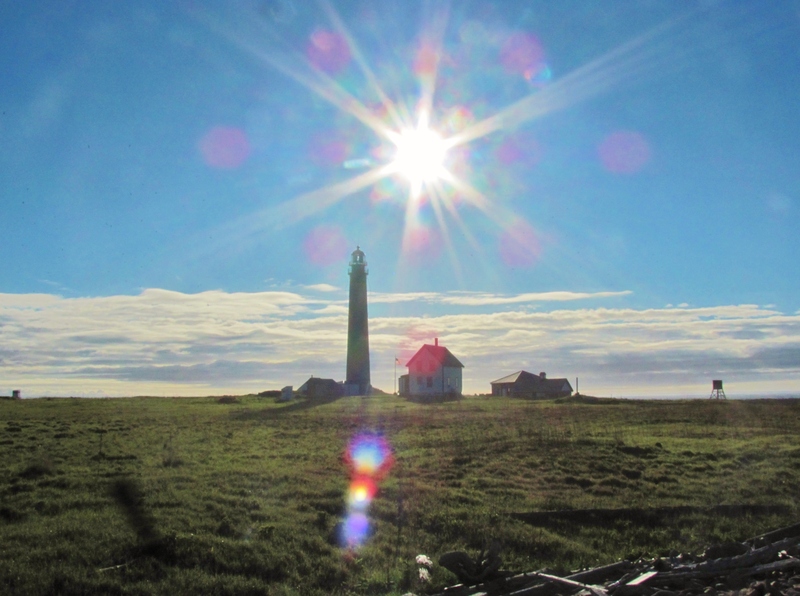 May on the islands provides a fantastic opportunity to witness the migration of birds. As islands along critical oceanic migration routes, the Refuge’s islands are essential to providing migrating birds a place to refuel and refresh. For the biologists, it is an exciting time to witness new species and observe them closely as they forage voraciously in trees and shrubs just feet away. 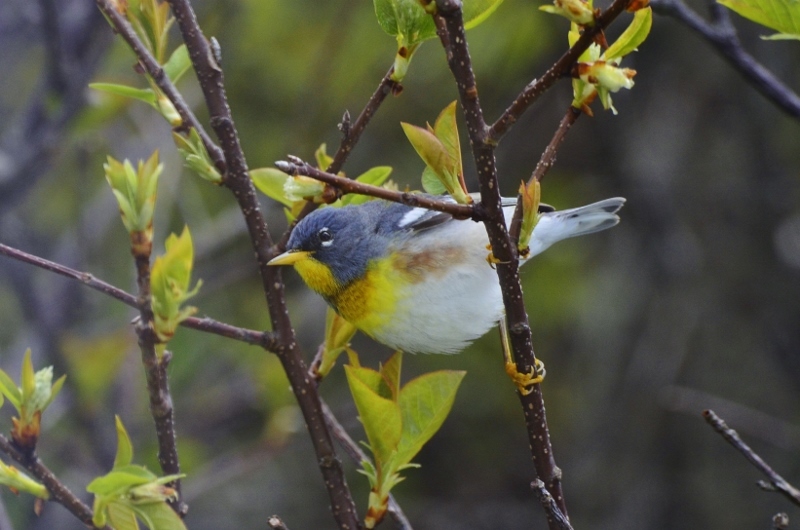 Northern Parula from the back window. Like Petit Manan and other islands, Ship Island has been privy to sundry migrants: 72 in total at the close of today. 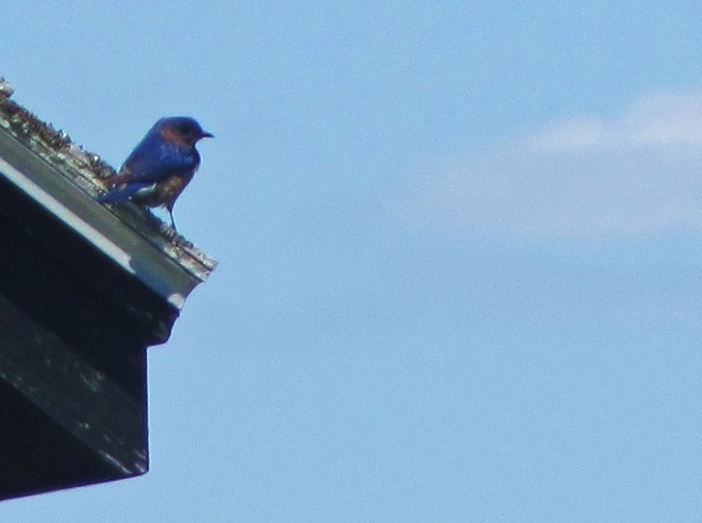 It seems that nearly every morning we wake up to a new bird song. This morning, it was the Bobolink with his “R2D2” voice. 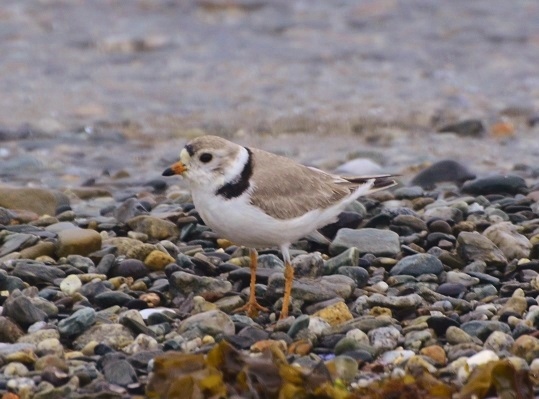 But the migrants are not the only exciting birds we see here – shorebirds flock to our sandy beaches, scouring the rack line for tasty morsels as they probe incessantly with their long bills. Lately we have been seeing up to 50 Black-bellied Plovers, still in the process of molting into their striking summer plumage. 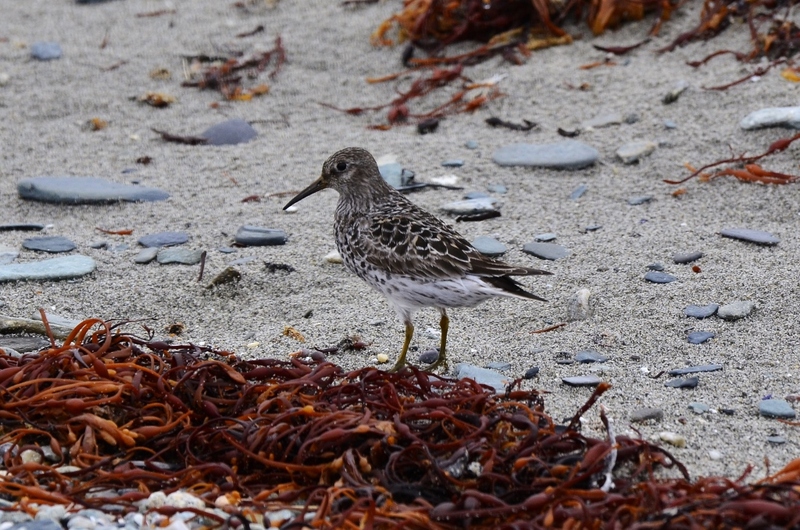 Others have included Least, Semipalmated, and Purple Sandpipers, Ruddy Turnstones, Dunlin, Willets, Whimbrels, Short-billed Dowitchers, Greater and Lesser Yellowlegs, Semipalmated and Piping Plovers. Petit Manan Island: It’s Raining Migrants! Andrea and I (Jordan) have been on Petit Manan Island (PMI) for a little over a week now, getting the island ready for the seabird breeding season. 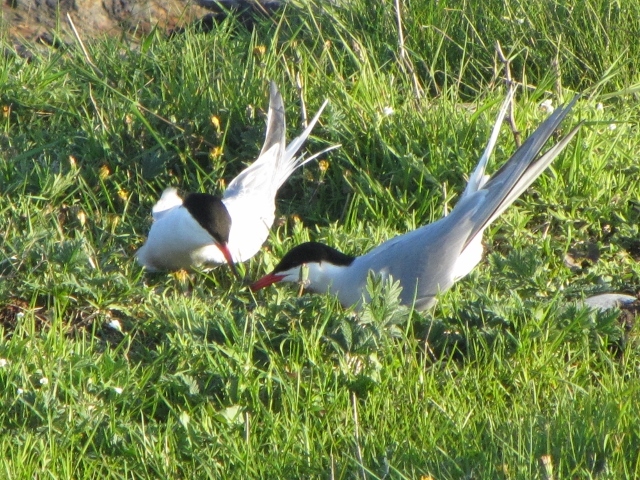 Although the weather has been rather wet and dreary, we’ve put up our observation blinds from which we can watch the Common and Arctic Terns that nest all over the ground, as well as the Alcids (Atlantic Puffins, Razorbills, and Black Guillemots) that nest in rock and sod cavities along the perimeter of the island. There are not many seabirds yet—the terns are still arriving (we’re up to about 500 now), and they only land on the island at night and in the early morning, and the Alcids are just scoping out burrow locations. 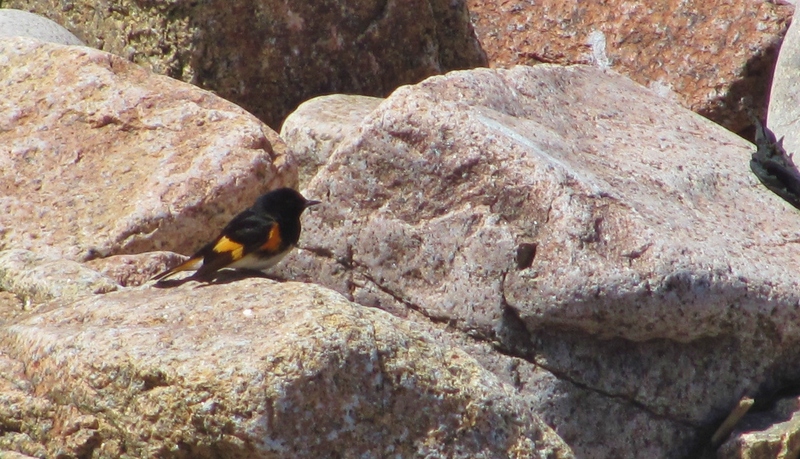 But luckily for us bird nerds, there are TONS of migrating songbirds stopping to rest and refuel on PMI. 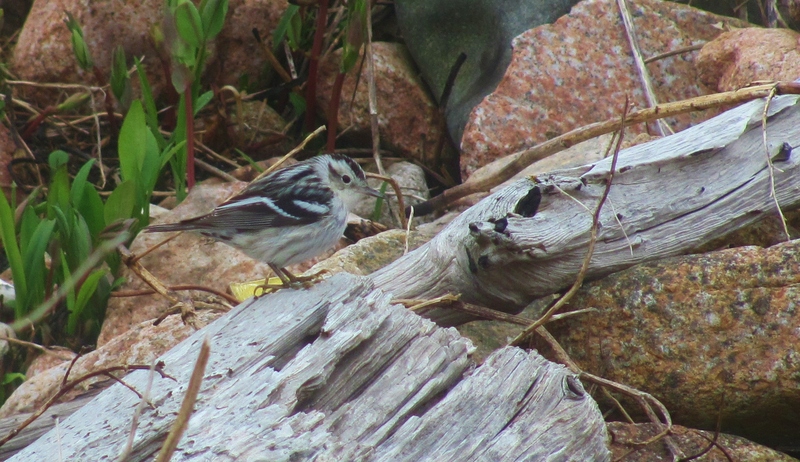 We’ve seen over 50 bird species so far, including many warblers, thrushes, and sparrows that are moving through on their way to their breeding grounds. 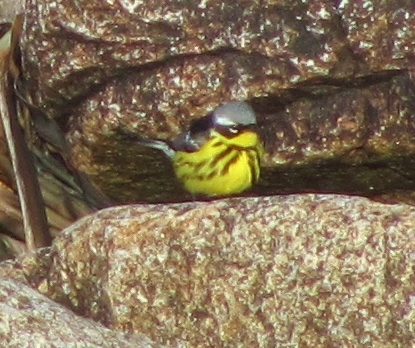 We’ve included photos of some of the migrants we’ve seen so far, and we’ll keep you posted as the seabirds settle in!